Peter Loewen is a Professor of Political Science at the University of Toronto, and a Professor at the Munk School of Global Affairs and Public Policy. He is the former Director of the Centre for the Study of the United States and the American Studies program. Peter’s work is currently taking place in three broad streams. The first is concerned with understanding how individual differences—which we may understand as dispositional, longstanding, and occasionally fundamental psychological and behavioral differences between people—matter for political behavior. This work combines experiments and surveys in the United States, Canada, the United Kingdom, Australia, and New Zealand. The second stream is interested in understanding the representational behavior of politicians and political elites. Broadly speaking, this research is interested in the decisions and actions taken by these elites when presented with a representational opportunity or challenge. This research combines natural experiments, field experiments, and, in the future, extensive interviewing and survey experimentation. The third stream is concerned with statistical and experimental methods in political science. Peter received his PhD from the Université de Montréal, and completed post-doctoral fellowships at the University of British Columbia, and the University of California San Diego. 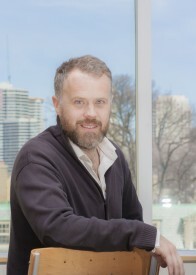 His research is funded by SSHRC, the European Research Council, and by a Government of Ontario Early Researcher Award. In addition to his UofT duties, Peter has undertaken extensive public-facing work. He writes a regular column for the Ottawa Citizen, and has in the past contributed to The Globe and Mail, and the Toronto Star. He has engaged in past electoral engagement work with Vote Compass in partnership with the Wall Street Journal, CBC, and Australian Broadcasting Corporation. He also engages in ongoing consulting work with various electoral management bodies. April 11, 2019 Policy Transformation in Canada: Is the Past Prologue? June 17, 2016 Peter Loewen in National Post: How easy it is to fire the rifle that’s the symbol of the gun control debate in the U.S.